Top stationary does not let down. Trunk modified to rumble seat. 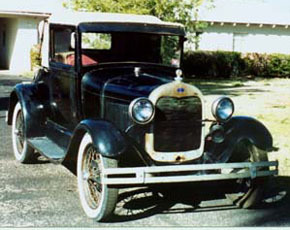 parts including set of 19' wheels and original style head lights. (car presently has 1930 type seal beams).